Marvel Music is releasing the soundtrack for Marvel’s Agents of S.H.I.E.L.D. physical CD in October (its initial date of October 9th has been extended due to production delays). The digital album is available now. EMMY Award® winner Bear McCreary (Outlander, The Walking Dead) composed the music for the series. 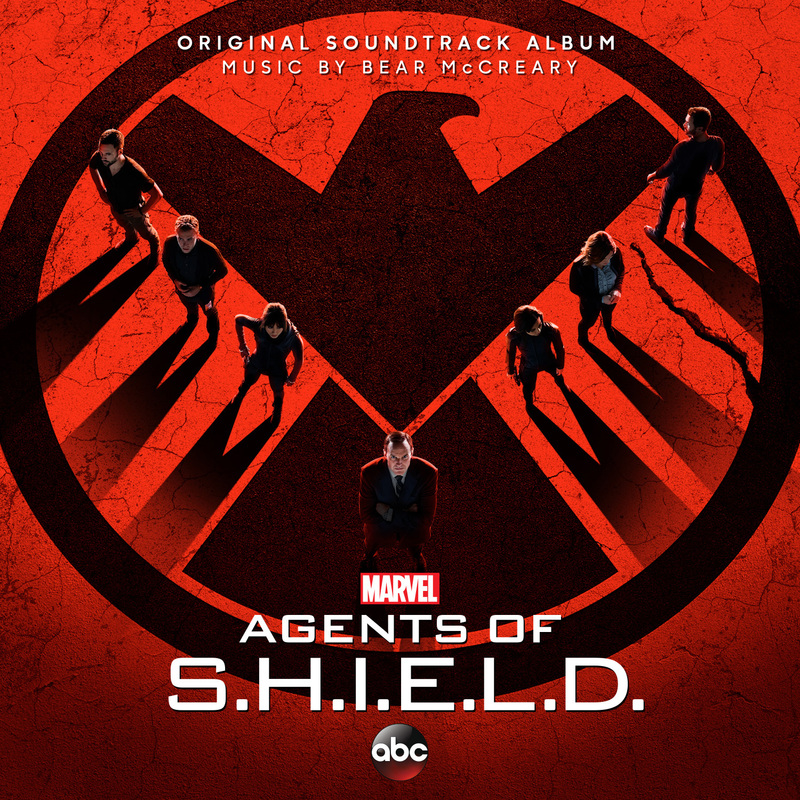 Included on the soundtrack are some of Marvel and McCreary’s favorite cues, including the main title theme, “Aftermath of the Uprising” and “0-8-4,” and “Cello Concerto” from the episode “The Only Light in the Darkness,” an episode that centered around Coulson’s ex-girlfriend, a cellist. “My musical fascination with Coulson’s ex began in Episode 11 [The Magical Place]. There was a scene where Raina mentions The Cellist to Coulson and strikes a deep, emotional nerve,” said McCreary. “I was thrilled as I read the script for ‘The Only Light in the Darkness,’ realizing that the episode would not only provide a chance for me to expand the Cellist Theme, but that the character herself would actually play it on screen.” McCreary worked closely with the actress who played The Cellist, Amy Acker, on set to make sure it appeared she was a cello virtuoso.